In 1498 AD, when Vasco da Gama first sailed to Calicut in south India, most of South India was part of the Vijayanagara Empire, which was very strong and still growing fast. Further north, the weakness of the Muslim rulers of North India allowed Central India to break free in the 1490s, forming five small kingdoms we call the Deccan Sultanates. One of the first things the Deccan kings had to do was to fight off a Portuguese invasion in 1510. 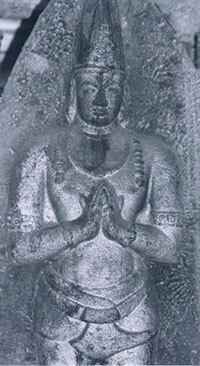 By that time, under King Krishna Deva Raya, the Vijayanagara Empire was doing even better. 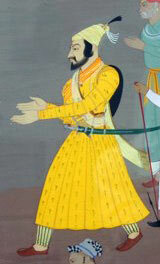 By the time Krishna Deva Raya died, in 1529, he controlled most of the Deccan Sultanates, and a very wealthy empire. In 1565, however, the Deccan kings formed an alliance, and defeated the Vijayanagara Empire, which became weaker partly because of this defeat, and partly because European ships were taking over more and more of the South Asian trade that the Vijayanagara kings had once controlled. 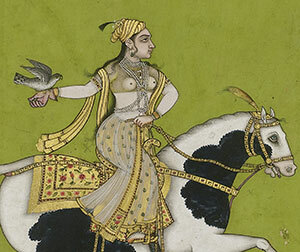 Like other Renaissance kingdoms all over Eurasia, the Deccan Sultanates had several women rulers: first Khanzada Humayun Sultana, who ruled as regent for her son starting in 1565 while Hamida Banu controlled northern India, and then in the 1590s Chand Bibi, who defeated the first Mughal attack on her kingdom. But by the end of the 1600s, the Mughal Empire grew stronger under Nur Jahan, and then Nur Jahan’s great-nephew, the Mughal emperor Aurangzeb, conquered all of the Deccan sultanates, and forced them into the Mughal Empire. Aurangzeb tried to force everyone in central India to convert to Islam, persecuting people who stuck to their Hindu beliefs. But this persecution made people angry, and they began to plan a war to get back their independence. Shivaji Bhonsle and his Hindu army, fighting in small groups with some help from British guns and cannons, started a small Hindu kingdom that would grow into the Maratha Empire. From the beginning Shivaji built a strong navy, which defended its interests along the coasts of India. Cite this page: Carr, K.E. Deccan kingdoms in India. Quatr.us Study Guides, July 19, 2017. Web. April 23, 2019.